Absolutely charming 2/1 Single Family home in Greenacres. Open floor plan in the main living area and updated sleek window treatments throughout. Dreamy bedrooms have NEW recessed lighting with dimmer, remote controlled ceiling fans and NEW plush carpeting with custom closet systems. Updated kitchen with new double door refrigerator. Front loading washer dryer. Freshly painted exterior and interior. Large 4 car driveway. A spacious yard, filled with a variety of fruit trees, including a vegetable and herb garden; perfect for family picnics, kids playground, or just relax in. 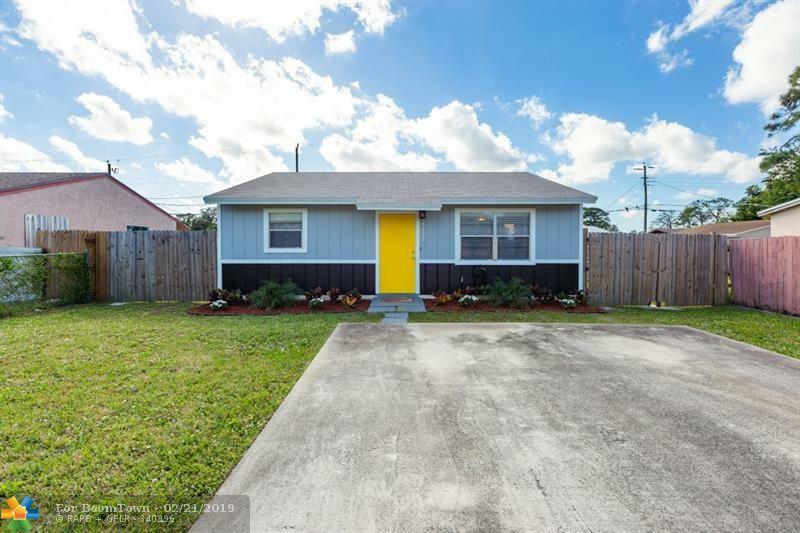 Affordable and NO HOA! Great central location; minutes from Turnpike, I95, State College, Shopping, and Palm Beach International.